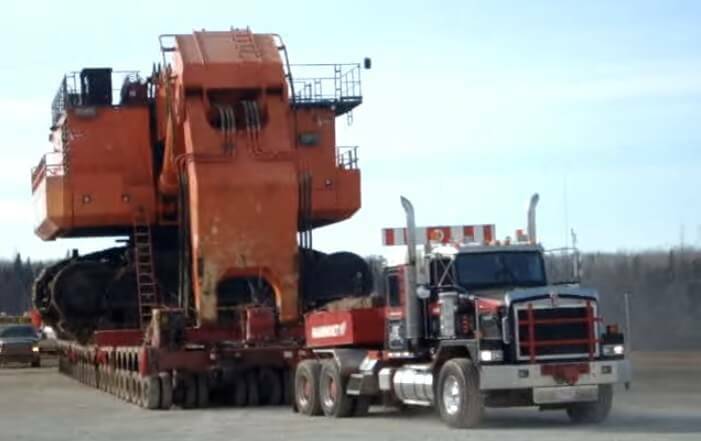 The Biggest Hauler In The World - Mammoet Fort McMurray Moves a Complete EX5500! Mammoet is the world’s largest service provider specializing in heavy lifting and transportation of heavy loads on water and on land. The EX5500 Excavator like the one in the video below, is a rather sizable piece of equipment, and that isn’t something that is going to be easy to move. But Mammoet is up to the task. With the ability of generating the biggest part of their power at a very low speed, this truck is able of towing a complete EX5500 excavator for many, many miles. An absolute drag strip winner – Cadillac CTS-V making 1200 hp!! Motorcycle Police Officer With Some Serious Skills!! Homemade Bat-Bike Hits The Streets In Vietnam! New Innovative And Revolutionary Safety Equipment – The VOZZ Motorcycle Helmet!! Rain Prisk Designs’ awesome render of an S550 Ford Mustang wagon!